Music is part of what makes for an enjoyable vibe in a restaurant. 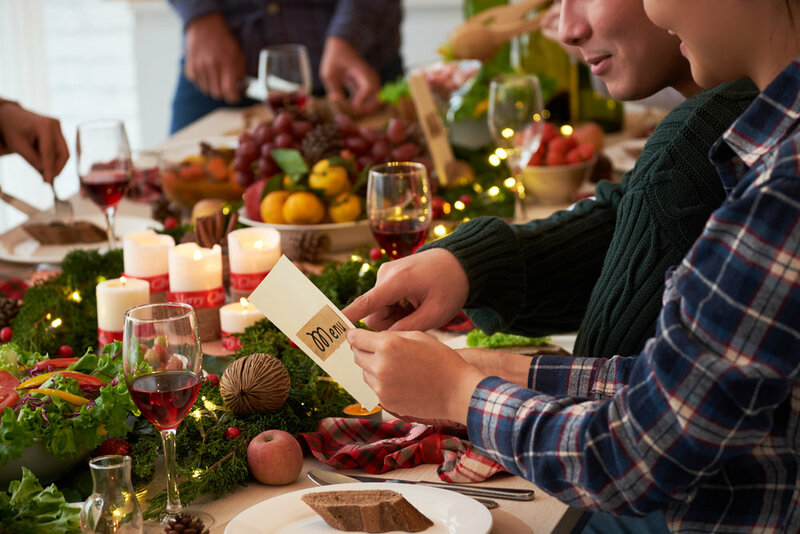 During the holidays, changing things up a little can help your restaurant fit in with the festivity and can help increase sales of seasonal items. Many restaurant owners have a variety of questions about restaurant holiday music; do customers like holiday music? How early should it start? What type of holiday music is best? Whatever the case, my aim with this article is to answer all of these questions for you and provide you with the information you need to make a more informed decision. Restaurant music in general can be a complicated topic. We’ve discussed how to build a playlist for your restaurant before, but we’ll go over some of the basics here. Making the music louder and choosing faster songs causes people to eat faster, which leads to higher table turnover. Soft, slow music can get people to stay in your restaurant longer, which can lead to higher revenue per customer in some situations. Customers spend more with the presence of classical music. Depending on the genre, customers may perceive taste differently. These are some general guidelines you can use to help curate your holiday playlist. If your goal is high table turnover, choose higher tempo songs. For a high-class restaurant where the goal is to increase alcohol sales, piano covers of holiday songs would be a great pick. Finally, before you play music in your restaurant, make sure it’s properly licensed. Even when choosing holiday music, it’s important to choose songs that reflect your brand’s style and the preferences of your target audience. You can find many different versions of the same song. For example, if you search Jingle Bells, on Spotify, you’ll find that there are hundreds of different versions. These different versions offer enough variety for you to be selective of genre and tempo for any holiday song, making it easy to create a playlist that fulfills your song preferences, the genre requirements of your brand, and the tempo requirements based on your restaurant’s business objectives. If you have a coffee shop designed to embrace a culture of carefree relaxation, a playlist of slow acoustic and indie rock holiday songs might do the trick. For high-end restaurants, low-tempo piano covers can be your go-to. Starting holiday music too early, like before Thanksgiving, can frustrate many customers. In fact, many people believe that anytime before Thanksgiving is too early for holiday shopping to start. However, people do enjoy holiday music. According to a study conducted by SOCAN, a Canadian performance rights organization, 58% of participants thought holiday music improved their shopping experience – but only if played in December. Employees like holiday music too. 43% of participants in the SOCAN study said they would like to hear holiday music in their workplace, provided the timing is right. Starting your holiday playlist at the end of November or beginning of December is ideal. For best results, start layering holiday songs in with your existing playlist so they play every three or four songs, then increase the frequency as you approach the end of the month. Starting holiday music too early is one thing that can annoy guests, but another is too much repetition. Not only will it frustrate your customers, but your employees can also grow frustrated from hearing the same songs all week. As you hopefully know, unhappy employees can result in a poor experience for your customers. And customer experience is a topic we talk about often because of its importance. Choosing the top 100 holiday songs isn’t enough to keep your customers and employees happy. If you’re frequently playing the same songs that every other restaurant and retail store in town is playing, customers may perceive this as repetitive and will grow frustrated. Employees will easily get tired of hearing the same songs in their workplace that are played everywhere else as well. It’s okay to play popular songs, but to combat the perception of repetition, make sure your playlist includes plenty of variety. Include less popular holiday songs, cover versions of classic ones, or a mix of these in addition to the top 100 holiday songs you hear every day on the radio. It’s not enough to simply put on a playlist full of holiday songs. 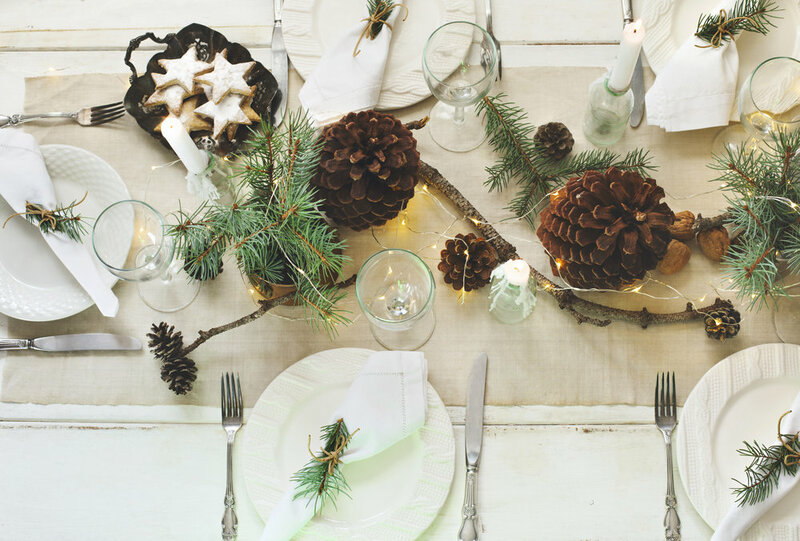 To truly capture the feel of the holiday season, you need to be festive in other ways too. Try decorating your restaurant. Maybe have some hanging garland, a miniature tree, or even some simple lights to create an ambiance. 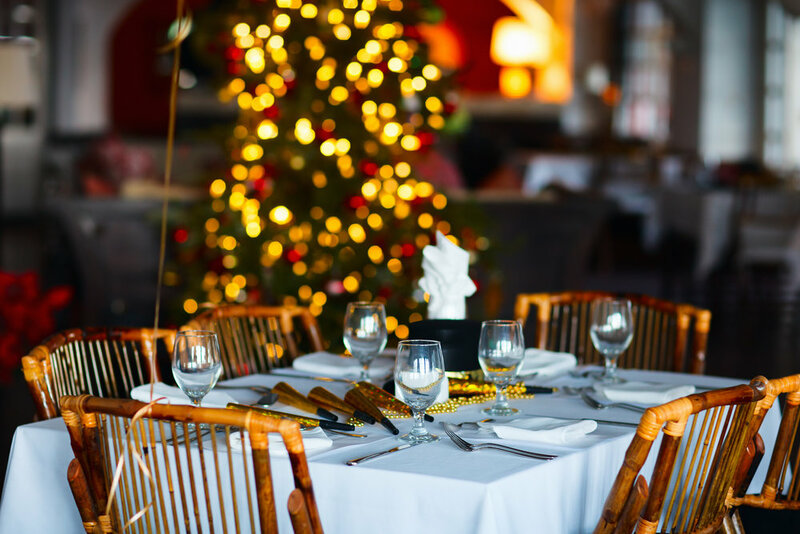 The holiday music you’re going to play still needs to fit the atmosphere of your restaurant, and decorating can help accomplish this. 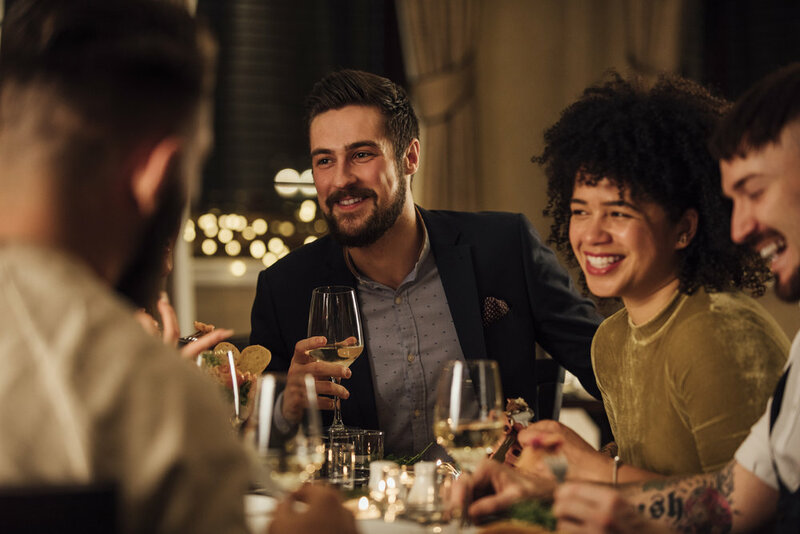 Offering special holiday deals or introducing a special, time-sensitive holiday menu can also be a great way to reinforce a festive vibe, and can get potential customers to choose your restaurant over another due to fear of missing out. There are tons of ways to promote your restaurant during this time of year. Just get creative. Nick Rubright is the founder and editor at Dozmia and the lead guitarist for the band Days Gone By. He has a passion for playing the guitar, writing new songs, and creating awesome blog posts like this one.